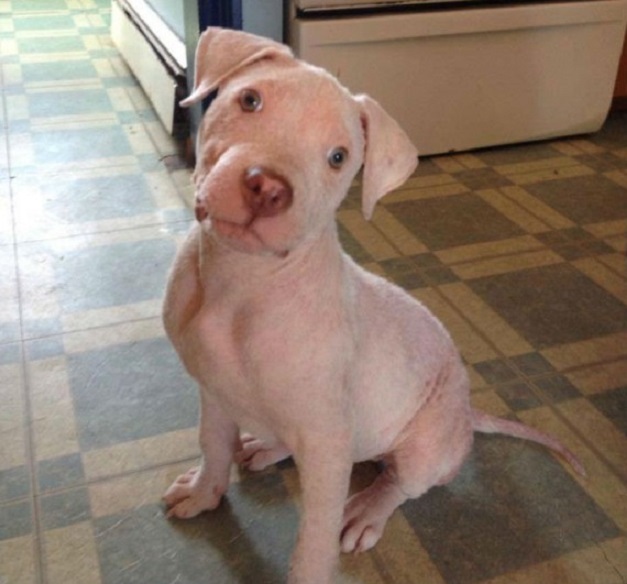 Joey Wagner, a marine animal rescuer from Nova Scotia, rescued a severely ill pit bull puppy on the brink of death. 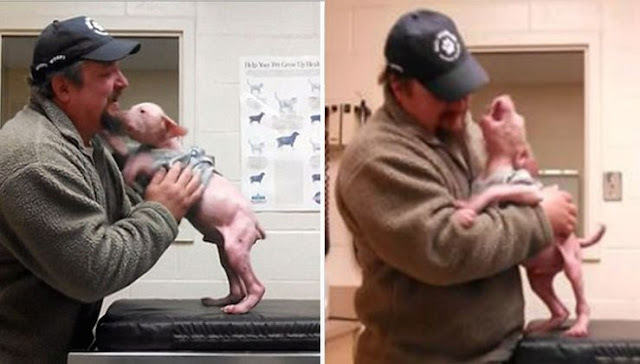 The mange-infested puppy was taken to the vet to receive the care he so desperately needed, but little did Mojo know that he’d be reunited with his rescuer. 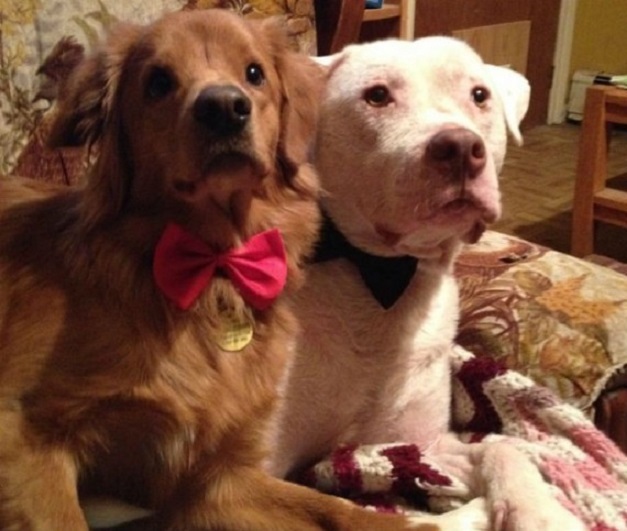 Because of the severity of Mojo’s case, ordinary adoptions were not considered. 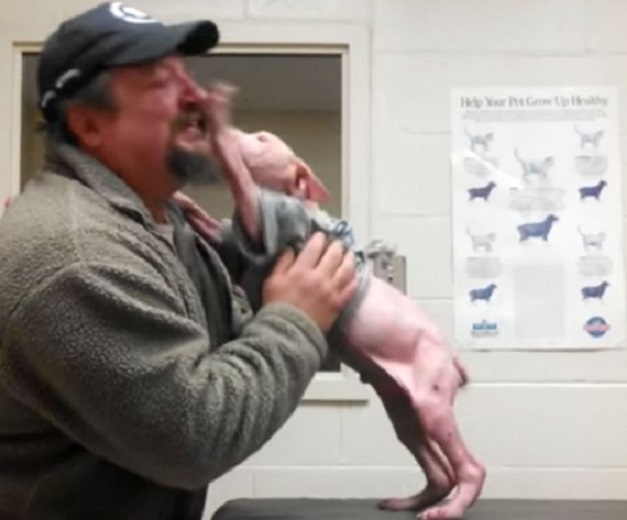 But that led to the best part of the entire story; Wagner came back to adopt the dog he saved, and the surprise made Mojo very happy! Today, Mojo is three years old. His coat never fully grew back, but the love he receives from his family is more than enough to keep him warm. It’s so great to see him in his forever home.